It’s Tuesday, and once again it’s time for the weekly Beatles roundtable, Things We Said Today, during which our panel of experts tackles topics of importance to Beatles fans. This week, Ken Michaels, Steve Marinucci, and Allan Kozinn look at the famous (or perhaps infamous) Star-Club tapes. The show begins tonight at 9 pm on Pure Pop Radio. Despite questionable sound quality, the various releases of the Star-Club tapes, such as Live! at the Star-Club in Hamburg, Germany; 1962 have presented the Beatles on stage, perfecting their act one song at a time, each song performed with guts and gusto, one after the other, during marathon, energized shows that were guaranteed to blow the roof off the joint. Ken, Steve and Allan talk about the first time they heard these recordings, which initially surfaced on record in 1977. It’s another fascinating, fact-filled discussion that you won’t hear anywhere else. You won’t want to miss this show. Things We Said Today is the premiere weekly survey of all things Beatles that is hosted by a quartet of Beatles experts–today’s Fab Four, if you will. 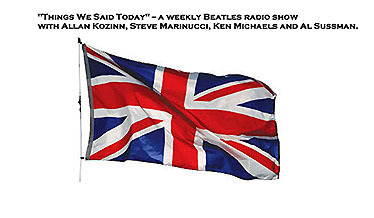 Ken Michaels, host of Every Little Thing, is joined by Beatlefan Executive Editor Al Sussman, Steve Marinucci (Beatles Examiner), and Allan Kozinn, longtime music critic. Other well-known Beatles experts sometimes sit in with the core group. Things We Said Today airs every Tuesday night at 9 pm ET on Pure Pop Radio. Listen to Pure Pop Radio on the go! Download Our Mobile App. Do you ever find yourself listening to Pure Pop Radio when suddenly, you realize you need to hit the road to do some errands or meet your BFF for lunch? On-the-go listening is now a breeze with our handy, dandy mobile apps for Android and iOS. Think what a wonderful world it would be if you could take your treasured Pure Pop Radio listening experience out of the house and into the great, big world. 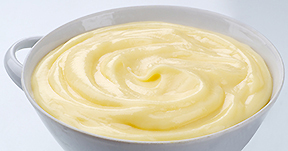 Well, your wish is granted! Simply click on the link below from your device to set things in motion. Just think: The Orange Humble Band, Fireking, Brandon Schott, the Jangle Band, Caddy, the Corner Laughers, the Beatles, the Spongetones, the Legal Matters, Linus of Hollywood, David Myhr and the Kinks and nearly 7,000 melodic pop songs coming at you in glorious, 128 kbps stereo…wherever you go! It’s a wonderful world, indeed! Click on the link below from your device for on-the-go, Pure Pop Radio happiness! 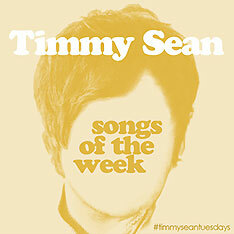 Another Triple Play of Songs of the Week from Timmy Sean Starts… Now! 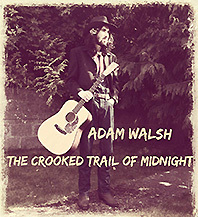 With this triple play of Songs of the Week from the great Timmy Sean, we’re thinking–no, we’re sure–we’ll be up to date and ready to roll next week with the latest entry in this continually engaging and entertaining series. “Baby, She’s Better than You” is a hard driving, dance-your-heart-out stab of early Elvisified and Jerry Lee Lewised boogie and roll. It’s like the Jordanaires met up with the King, Jerry Lee, and a thunderous cacophony of drums and cymbals, cymbals, cymbals. Hot and sweaty, the track punches the air with enough energy to power Las Vegas. Gee whiz, this is a powerhouse track–one of the best–certainly in the top 10–of all of the Songs of the Week we’ve heard so far. Timmy says: “Well, here’s something a little different. I’ve always listened to a WIDE variety of music. I was born in the mid-80s, so as a kid I grew up loving everything that was on pop radio, everything from hip-hop to alternative (my first CD was C+C Music Factory). But my first real exposure to music came (as it does for most) from my family. “What made this a little different from most is that my father and uncles are full-time musicians. In fact, they’ve starred for nearly 40 years in the world’s longest running Beatles tribute show, Long Live the Beatles. But they also have a show called Jukebox Heroes Live, an impersonation show featuring the music of (just to name a few) Elvis Presley, the Beach Boys, Neil Diamond, the Everly Brothers, (and) Buddy Holly, in addition to the Beatles and more. So not only did I grow up with this music, I also began performing in this show in my early teens, and still continue to fly in from LA to play shows with them to this day… This is basically a very long-winded way of saying that early 50s and 60s rock ‘n’ roll truly is in my DNA in a way that’s probably pretty unique for someone my age. Timmy’s June 16 Song of the Week entry is “Falling Out of Love Again,” the polar opposite of “Baby, She’s Better than You”: a lovely ballad with a seriously great vocal arrangement, an entrancing melody, and the usual mastery of instruments a-plenty, all played by the artist. Dig the lyrical electric guitar solos, dipped slightly in the Brian May pool. Another top 10 Song of the Week, without question. Timmy says: “This past weekend I celebrated Brian Wilson’s birthday by catching a showing of his biopic, Love and Mercy, before heading over to the Greek Theatre in Los Angeles to see him perform live. The show was amazing, and I was fortunate enough to get to hang a bit with some members of his band afterwards, including original Beach Boys member, Mr. Al Jardine. They closed the show with a beautiful version of the song ‘Love and Mercy,’ which may not be clearly evident on first listen, but was actually a big inspiration for this song originally off of my 2013 release, the East Coast Girls EP. This live version is another recording from Timmy Sean and the Celebrities’ debut performance on the east coast last fall at the legendary Bitter End in NYC (the same show the earlier Song of the Week ‘On and On’ was pulled from) . Add Timmy Sean’s “Baby, She’s Better than You” to your collection by clicking here!. 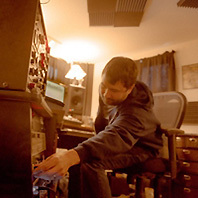 Add Timmy’s “Falling Out of Love Again” by clicking here. And, last but not least, add Timmy’s live version of “This Time Around” by clicking here. To get all of Timmy’s music, click here. And check back next week for another new Song of the Week! 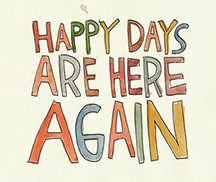 Happy Days are Here Again! We’ve Got More New Music Spinning…It’s Another Melodic New Music Day on Pure Pop Radio! Longtime Pure Pop Radio listeners (and readers of this website) know we’re all about adding as much new music as we possibly can. And so it goes–today, we’ve got another group of songs and artists playing for the very first time on your 24-hour-a-day home for the greatest melodic pop music in the universe. 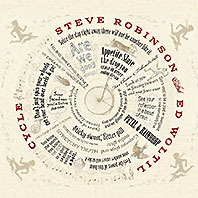 Steve Robinson and Ed Woltil | Cycle We have long been fans of Steve Robinson’s music; Ed Woltil’s solo release from last year, Paper Boats, A Reverie in Thirteen Acts, was one of our Favorite Records of 2014, which is only fair since Ed is an old power-pop hand, having served time in the Ditchflowers, another favorite act around these parts. Steve and Ed have joined forces to create what amounts to a clear winner of a song cycle that should garner a picnic basket-sized bucket of kudos and huzzahs when the best-of 2015 honors are dispensed. Full of clever twists and turns and knowing nods to a variety of pop styles, Cycle’s heartbeat is perhaps best demonstrated in the gorgeous. slightly trippy folk-pop number, “Elastic Man,” a sixties hug with echoes of Paul McCartney and Donovan that sounds like it’s enclosed in a Dukes of Stratosphear wrapper. The elegant “Wake Up Dreamin'” evokes images of a warm summer night that follows a sunny day that was chock full of surprise. The very English ballad “Little Regrets” conjures up images of Martin Newell as arranged by George Martin, a very good thing. And there you have it: three examples of what you’ll find on this special record, written, recorded and performed by two of pop’s most prodigious creators. We’re playing the entire album, minus a short instrumental that opens up the proceedings: “Love Somebody,” “Wake Up Dreamin’,” “Elastic Man,” “Godspeed,” “Little Regrets,” “Wintersleeping,” “The Boy from Down the Hill,” “Who You Are,” “Hello, Hello (We’re Back Again),” “Butterflies,” “Liberty Daze,” and “Seize the Day.” Miraculous. The Connection | Labor of Love When we get a new album by the Connection for airplay, we get the dance floor ready for action (and prime the spacious, roped-off area we have for air guitar enthusiasts). 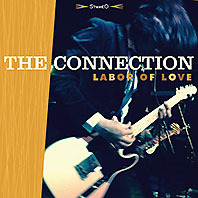 Labor of Love, just released digitally, does not disappoint; what it does do is get the proverbial power pop juices flowing in a big, massive, huge, megaton kind of way. The title cut, which opens these proceedings, bashes and explodes out of the speakers with muscular guitars, thrashing drums, and insistent, energized vocals for a workout that puts you in the center of the action. The upbeat, driving “Good Things” keeps the party going with a slightly less-manic attack that still delivers the crunch guitar effect. 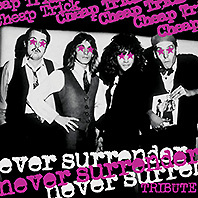 Similarly, “You Ain’t Special” takes the less-manic approach, mixing in keyboards amidst the rock ‘n’ pop muscle. There is a whole lot to savor here–even a countrified pop-rocker (a la the Rolling Stones), “Let the Jukebox Take Me,” about the magic of the jukebox and the comfort of the feeling of being at home in one’s surroundings. 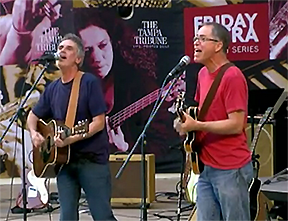 Brad Marino and Geoff Palmer have written a great bunch of songs, and we’re playing all 10 of them, in rotation: “Circles,” “Don’t Come Back,” “Pathetic Kind of Man,” “Red, White and Blue,” “So Easy,” “Treat You So Bad,” and the songs already mentioned. Listen to Pure Pop Radio and hear songs from what will surely be one of the most talked about–and played–albums of the year. 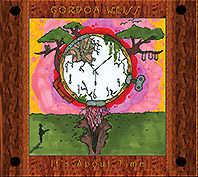 Gordon Weiss | It’s About Time Gordon Weiss, a Pure Pop Radio regular, hits a melodic bulls-eye with this just-released collection of beautiful, cleverly constructed songs that speak from the heart. From the opening, Rolling Stones-kissed number, “The Ugly Inside,” to the cleverly arranged ballad “The Great Imitator” and the album’s centerpiece, the glorious, anthemic “Spinning ‘Round,” which features a beautiful string arrangement from Wim Oudijk, this is a classy collection that will hold pride of place in your music library. We’re playing, in rotation, the aforementioned songs, plus “Saccharin, Aspartame, Splenda, You and Me,” “My Love Still Grows,” and “Sticky Thoughts.” Nice going, Gordon. 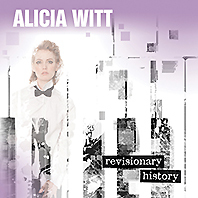 Alicia Witt | Revisionary History Ever since we first encountered the music of actress Alicia Witt (we played her great holiday number, “I’m Not Ready for Christmas,” during this past holiday season’s annual holiday extravaganza), we have longed to play more of her piano-based tunes. Her new album is pretty much bursting with great songs, from the powerful power-ballad “Consolation Prize” and the emotional “Already Gone” to the very pretty “New Word,” a song that builds nicely and features Alicia’s distinctive keyboard work. All told, we’re playing seven songs: the aforementioned numbers and “Friend”; “About Me”; “Blind”; and “Theme from Pasadena (You Can Go Home),” performed with Ben Folds. 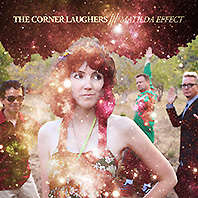 Distinctive, adult pop from a most talented practitioner. 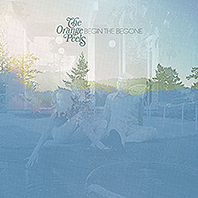 The Orange Peels | Begin the Begone Another sterling collection of songs from this veteran group, comprising the talents of Allen Clapp, Jill Pries, John Moremen and Gabriel Coan. This is not really a surprise, of course; the proof is in the estimable grooves. The Peels’ sixth album is represented on Pure Pop Radio by five great numbers: the upbeat, sixties vibing “Embers,” which switches gears and becomes an ethereal, atmospheric wonder with a minute and 26 seconds to go; the hip, pop-rocker “9,” which slides into a lovely coda anchored by an acoustic guitar part that plays out through its fade ending; the assured, determined beat of “Head Cleaner”; the energetic push of “Wintergreen”; and the lovely, deeply-felt, mid-tempo, marathon soundscape, “Satellite Song,” buoyed by a beautiful vocal arrangement, elastic electric guitar lines, and a blissful ending. Now playing in rotation, proudly. Your Gracious Host | The Writers of Our Destiny Michigan’s Tom Curless based this commanding song cycle on a short story he wrote; the results are a tremendous mix of catchy, upbeat pop with close harmony vocals (“If You Ever Have Your Doubts”), atmospheric, wordless balladry (the affecting instrumental “Train Passing”), and Paul McCartney-esque, eighties-inflected, pop-becomes-Beatles/sixties jam (the bouncy-into-wonderfully-paced instrumental bliss of “Heart on the Table”). We’re playing all three of these songs, plus “Facing Me,” “Love or Fear, Pt. 2,” and “World Within a World.” A great record, now playing in rotation. 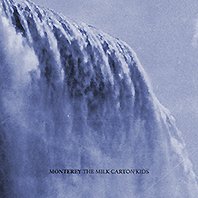 The Milk Carton Kids | Monterey An album of pure beauty, stocked deep with warm, honest songs sung in the classic Everly Brothers style, Monterey is a relatively quiet collection that is nonetheless alive with feeling and emotion. Backed by deftly played acoustic guitars, Kenneth Pattengale and Joey Ryan, hailing from out California way, build on a folk-pop base which they turn on its head to deliver emotional, classic, contemporary numbers like “Secrets of the Stars,” “The City of Our Lady,” and “Getaway.” Affecting and impossible to resist, this is the romantic side of Pure Pop Radio played expertly with heart to spare. We’re playing the aforementioned three songs in rotation, along with “Asheville Skies,” “Monterey,” “Freedom,” “High Hopes,” “Shooting Shadows,” and “Poison Tree.” Simply gorgeous throughout. 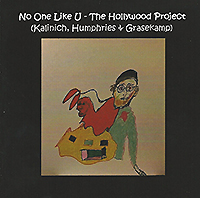 The Hollywood Project | No One Like U One of the big, happy surprises of this year has to be this collection of songs written and performed by poet and lyricist Stephen J. Kalinich, who collaborated on songs recorded by the Beach Boys, and musician Dave Humphries. Supporting players, including Wolfgang Grasekamp, who produced and arranged, are instrumental in bringing these numbers to life. At the heart of it all is the one-two punch of Kalinich’s lyrics and Humphries’ melodies. 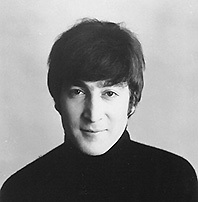 Songs such as the lively, Bob Dylan-influenced title track and the sixties singalong, “Jelly Bean Song,” really sing, as does the gentle, swaying ballad, “I Turn to You.” We’re playing the entire album in rotation–the aforementioned songs, plus “Can There Ever Be?,” “I Break Down and Cry,” “New World,” “I Will Be Strong,” “What Life is For,” and “Enough Love.” Great stuff. The Custard | “Way Over My Head” Here is another one of those amazing recordings coming out of the Facebook Theme Music group, comprising the considerable talents of the Tor Guides’ Torbjorn Petersson (lead vocals and guitars), Michael Lorant on drums, Frank Padellaro on bass, and the Legal Matters’ Keith Klingensmith on vocals. Catchy? Check. Great melody? Check. Replayability? Is a thousand times too much? Now playing in rotation. In case you were curious, and we know that you are, we have plenty more new songs and artists to announce as additions to the Pure Pop Radio playlist. 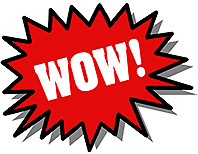 Look for another list of exciting, melodic treasures next week. 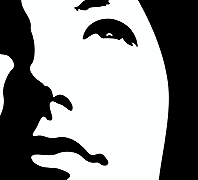 Until then, click on one of the listen links below and check out the nearly 7,000 melodic pop songs we have playing in rotation every day of the year. Enjoy the melodic soundtrack of your life on Pure Pop Radio! 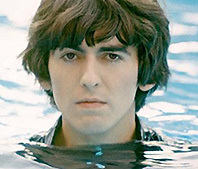 Following on from last week’s jump into the deep pool of John Lennon and Ringo Starr’s solo recordings, Ken, Steve, Al, Allan and Darren dive head first into a lively and informative discussion regarding their favorite George Harrison and Paul McCartney records. It’s another slam-bang edition of the weekly Beatles roundtable, Things We Said Today, rolling into your living rooms tonight at 9 pm ET on Pure Pop Radio. First up: the gang throws out their picks for favorite albums from George. Will All Things Must Pass pass muster with these Beatles experts, or will Extra Texture prove to be the object of their collective musical fancy? How will Living in the Material World fare? And will Electronic Music, or Wonderwall Music, have their place in the rundown? You may be surprised at the picks as they are unveiled. And how will Paul’s solo albums stack up as far as fave platters go? Will Chaos and Creation in the Backyard zoom in to the top spot for our panelists? How about Wings at the Speed of Sound? Will McCartney shine? 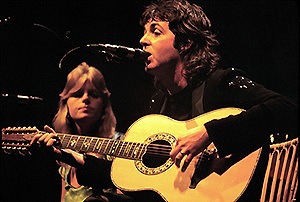 How about Venus and Mars and Band On the Run? Tune in and find out! 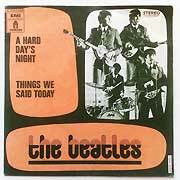 Don’t miss tonight’s sparkling edition of Things We Said Today, rolling at 9 pm ET on Pure Pop Radio. 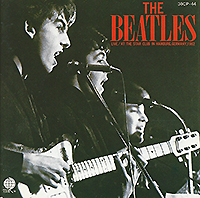 It’s essential listening for Beatles fans around the world! On tomorrow night’s lively and informative edition of the weekly Beatles roundtable, Things We Said Today, Ken, Steve, Al and Allan pay tribute to engineer Dennis Ferrante, who worked with John Lennon, among other music luminaries. The show kicks off at 9 pm ET on Pure Pop Radio. Ferrante not only engineered for a star-studded list of recording artists from Lennon, Waylon Jennings and Alice Cooper to the 1910 Fruitgum Company and the Raspberries, he started out as a rock singer. Ken delivers a passionate tribute to Ferrante, a true legend. The panel then turns to the subject of best solo Beatles albums. 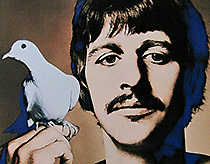 Up for conversation: the panel’s favorite releases from Lennon and Ringo Starr. Which long players do Ken, Steve, Al and Allan hold dear? Does Lennon’s Plastic Ono Band album hit the spot? What about Mind Games, Imagine, and Walls and Bridges? And for Ringo, does the star-studded Ringo platter hit the spot, or do Ringo Rama and Stop and Smell the Roses sing sweetly? Tune in tomorrow night at 9 pm ET and find out!